Commercial vehicle title loans and semi truck title pawn in the (STATE OF GA ONLY) 678.823.7700 are not typical among Atlanta title loan lenders and are a specialty of our Atlanta title loan company. 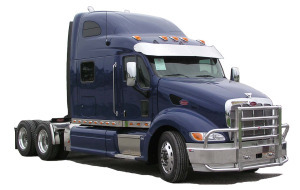 We assist semi truck and commercial vehicle owners to help them out with their short term cash needs by requiring minimal documentation to get you the maximum cash in the shortest time with your semi truck title loan or commercial vehicle title loan. Truck owners can be approved at of our office within 15 minutes and back on the road with the funds required to solve their needs. Bring your GA license, vehicle title, insurance proof, key and income documentation and you’ll be approved in minutes for your commercial vehicle title loan! CALL US NOW in GEORGIA at 678-823-7700.